Email turns 47 this year and continues to be undoubtedly necessary as people around the world communicate every day. But how has it stood the test of time in a digital landscape marked by constant change? Email has evolved alongside us, with its own ability to change over the years. Starting out as a way to exchange notes with family, friends, and colleagues, it has now also become a handy tool for receiving messages about the things that people are interested in. If you check the average person’s inbox, odds are that offers from their favorite retailers, email digests from blogs, and everyone other types of interesting content are going to be there. Email is a great method of communication for colleges hoping to interact with more prospective students. With education email marketing, institutions have the opportunity to reach potential students and send them specific offers and inform them of upcoming events and deadlines. 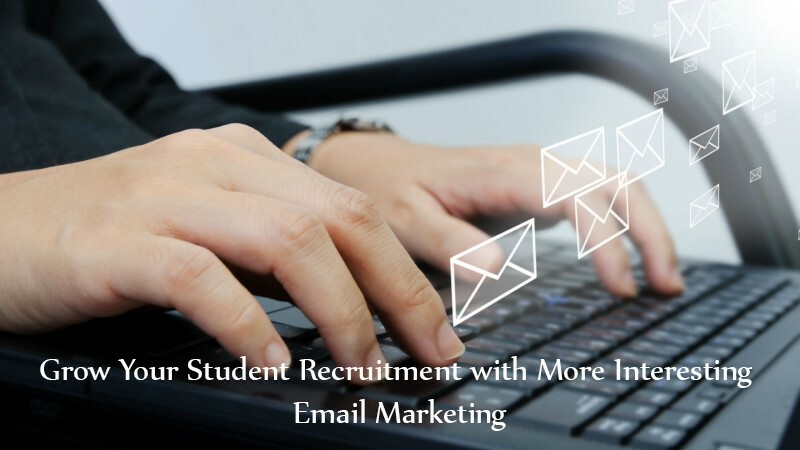 Colleges that are ready to provide potential applicants a valuable email experience will have a great advantage in engaging with potential students with education mailing list and education email marketing services. Want to make sure your email marketing material is as effective as it can be? Here are some steps that can help you achieve success! Modern student bodies are composed of many different types of people from different backgrounds and interests. It is important that your email marketing efforts mirror this by segmenting your audience to send them content reflective of their individual concerns and needs. Here are 4 common ways in which colleges classify their email audiences to implement effective communication. By stage in enrollment process: New prospects, prospects that have engaged with your recruitment team, and people that have already been accepted each generally need to see different information. By location: International prospects probably have completely different concerns than domestic prospects (visas, housing, language barriers, etc. ), which may also require translation into another language. By interest: A demonstrated interest in a particular program on campus is an excellent basis for classifying an audience. By combinations: With students generally registering for multiple classes, it is valuable to combine some segments (international student + new prospect, etc.). 2. Clear, compelling and simple content. For emails, the audience attention span is very short while inboxes get flooded with tons of messages, so recruitment professionals need to take time to craft content that cuts through the noise and gets their messages seen, opened, and read. 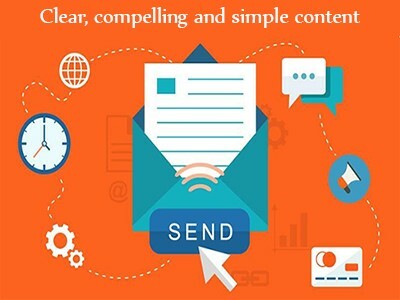 Email content should be written to make connections to one or more of the segments you have chosen. Like all forms of digital marketing, the goal of email marketing is to produce value to the reader. Speaking to your specific segments can help you determine exactly what you should send to each of them. You can send links to pamphlets or blog posts containing relevant information, as an example, giving an idea to prospective students regarding an approaching deadline or event. If you select a relevant topic to each audience’s segment’s interests and needs, you can run a successful email marketing campaign. The widespread use of mobile devices for reading emails has not fully replaced traditional choices like webmail and desktops. Many prospective students can access their email across multiple devices. Because emails can be read on so many different devices, you have to make sure your email is visually appealing and responsive to any phone, tablet, or computer. When graphical components are used, it is necessary to use a similar visual style to your other marketing collateral, to keep synergy between your website, emails, printed materials, and social media. Consistency between style components like logos, and even typefaces, will help retain the sense of familiarity and recognition. One of the most significant strengths of digital marketing is that it allows for the gathering of data that may help you plan for future marketing techniques. Collecting email data is essential for student recruitment, planning, and marketing. Key metrics like the number of opens, clicks, forwards, conversions, and subsequent browsing of your website are all valuable indicators that you can use to track email marketing analytics. This information can help you when evaluating and reusing content strategies that work and reassess those that don’t. Marketing automation tools like Hubspot collect and analyze email tracking data. These tools typically offer in-depth tracking and analytics, automating the method of tracking your email performance and providing a convenient place to compare the results of all of your campaigns and emails. Of course, these tools won't tell you why an email is performing the way it is, which means it’s necessary to evaluate each campaign and its performance. For example, did an email perform poorly because the text was unclear? Maybe the call-to-action wasn’t relevant enough to the audience? Make sure to look at the first point of abandonment when running your analysis to make sure you draw the proper conclusions. If an email doesn’t get many opens, for example, the problem likely lies with the wording of the topic line, whereas an email getting many opens, but have fewer click-throughs, might imply the content either wasn’t engaging enough or did not match user interests. Today, there are so many ways to get the word out. For educators, using education email marketing will drive more engagement and more conversion rates. Choose the best education mailing list that suits you, and start your email campaign today!